This month I'm participating in the Counterfeit Kit Challenge. 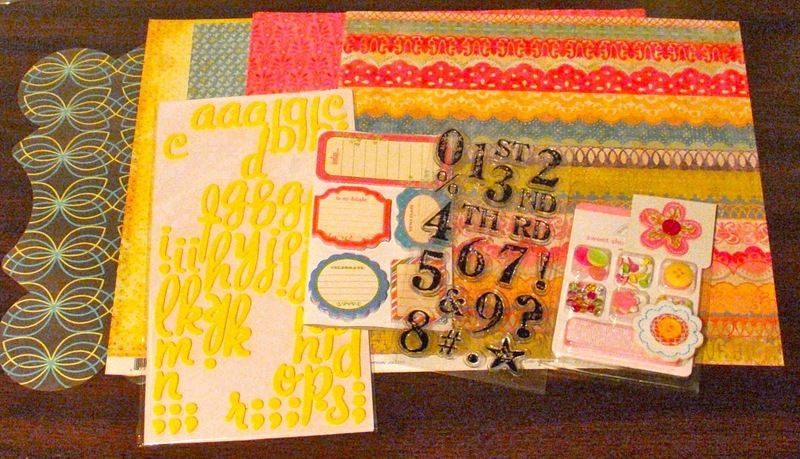 I chose the Studio Calico add-on kit, Sunny Clearing, because I liked the bright colors and smaller number of items. Here's my kit, which includes papers from Crate Paper, Basic Grey, Fancy Pants and KI Memories. I don't usually start with product, so I chose to make a few cards this first time around and not stress about making a scrapbook layout. Didn't have to mess with photos, journaling, title. Just played with the paper! 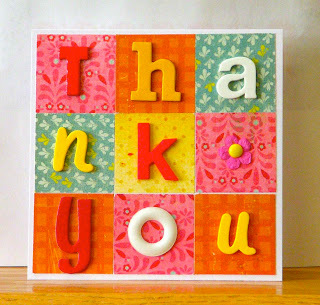 The design of these thank you cards is a total scraplift from this blog post. Thanks, Lisa! So that was fun! 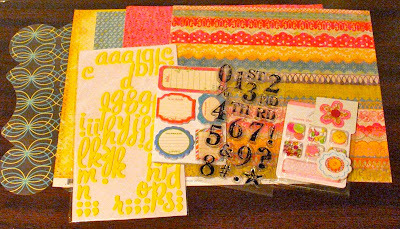 I even had enough supplies (and confidence) leftover to go ahead and attempt the mini challenge. 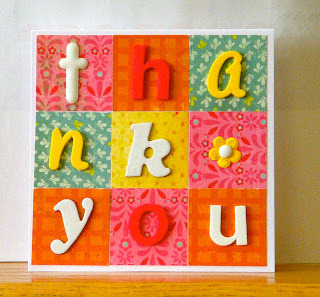 But, I'm saving that layout for the Blog Hop, so I hope you'll come back next Monday! Okay, I hope you'll come back before then, but you know what I mean. So bright and cheery - perfect for spring! I wish I could make cards like that.. Such happy cards - I'm a little burnt out with my kit, I might have to do some cards to finish it up. So glad you are hopping this month! These are great! Especially love those thank you cards! What fun cards! Love them!! So fun meeting you this past weekend at Scrappy Chic!! I love your cards! The colors are so bright and cheerful. This is a great idea - starting with cards when you have a product challenge. I will have to file this idea away! I love your 'hi' cards! Great use of label stickers. And thank you for honoring me by lifting my design. Oh Sue, I love these cards. They are so happy with those bright papers. I love your kit, and the cards are awesome! Definitely cute, cute cards! I love the colors-so happy! the colors just make me CRAVE Spring! 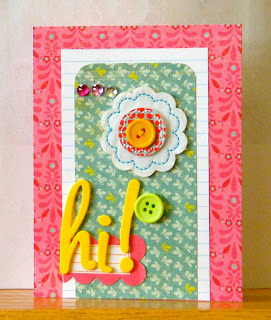 Ooh, I love the mix of colors and patterns on those cards -- so awesome! Thanks for your kind words Sue. I love your cards. Perfect for this first week of spring. 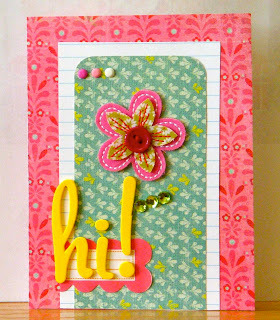 I love the bright, playful color of your cards. Great job! I can't wait to see your blog hop challenge! Fabulous! My kind of cards! FABULOUS card creations. Love your creative style! I just found your blog and am now a follower. So very nice to meet you! Stop over to my blog sometime and say hi!